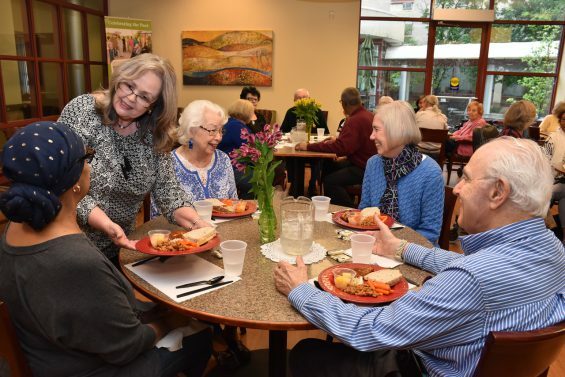 Crown Center partners with Mid East Area Agency on Aging and Jewish Federation of St. Louis for its popular dining program which serves five kosher meals each week, dinners Monday-Friday in the Crown dining room. Friday lunches are seasonal. Residents and area seniors can enjoy delicious meals in a relaxed and friendly atmosphere. Suggested donation is $3.00 for those age 60 and older. Download our latest Menu & Event Calendar for a full list of culinary offerings. Reservations can be made for one meal or the whole month. Crown Center also delivers kosher meals to home bound older adults who qualify.